There is a growing trend towards touchscreens in self-service terminals, such as ATMs and airport check-ins. However, these touchscreen-based interfaces pose significant accessibility challenges, particularly for people with visual impairment. 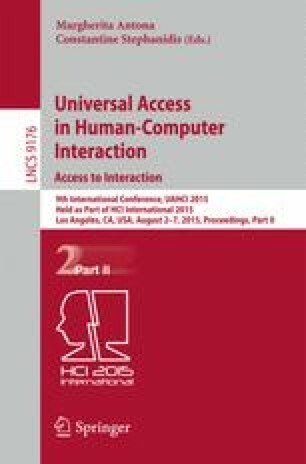 This paper presents two research and development projects aimed at improving touchscreen accessibility of self-service technology: one describing the development of a physical input device and another investigating gesture-based input techniques. These two projects are used to illustrate the key challenges of accessibility in self-service technology.